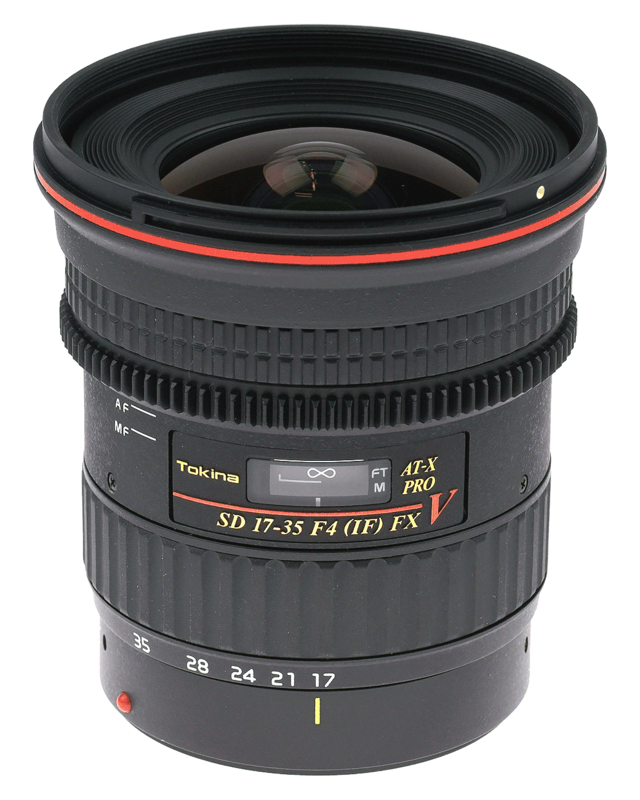 The Tokina AT-X 107 DX NH V is fish-eye lens that gives the digital photographer an approximate 180° field of view with dramatic curvature of field of «fish-eye» effect. Full corner to corner image can be achieved on an FX camera between approx. 14.5-17mm depending on the camera model, at 10-14mm there is a semi-circular view. A PM-O aspherical lens element is placed in the front group. This element working in combination with the glass-molded aspherical lens placed in the rear group corrects or various aberrations while ideally correcting distortions as well. The further correction of chromatic aberrations is achieved through the use of two more elements of SD (Super-Low Dispersion) glass «FK03» which is essentially close to fluorite glass. AF/MF switching is accomplished by simply sliding the focusing ring forward and back on the lens barrel. The feel when manually focusing has moderate sense of torque in the focus ring, enabling precise focusing. Realization a fast aperture f/2.8 and closest focus distance 0.3m. It is effective in taking photographs utilizing perspective changes. The lter size is 77mm, and C-PL filters can also be used.